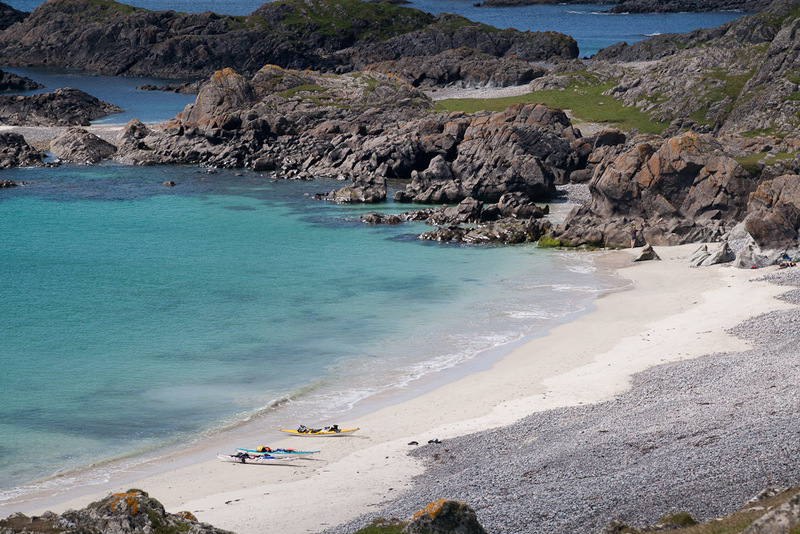 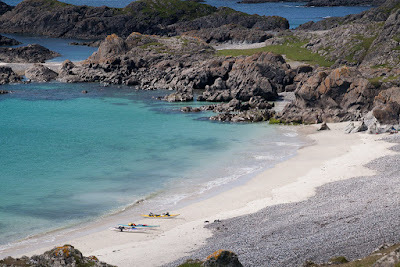 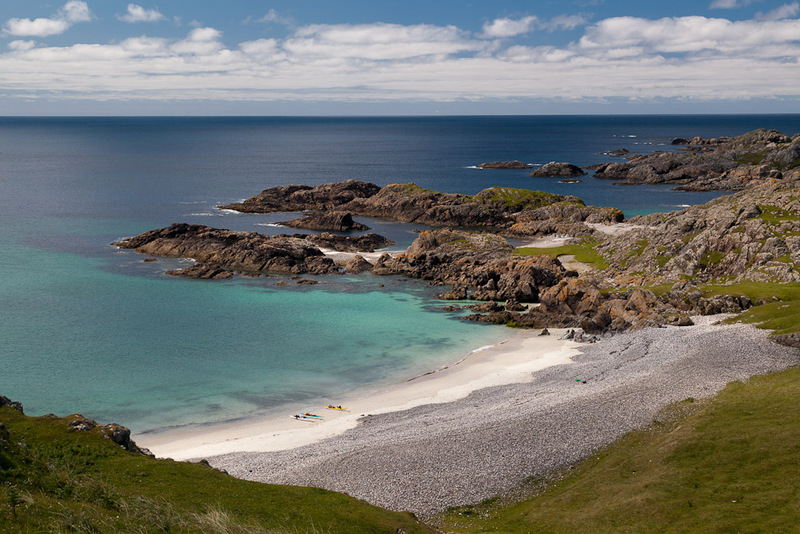 Jets, sea kayaks and galleys and fair Tiree. 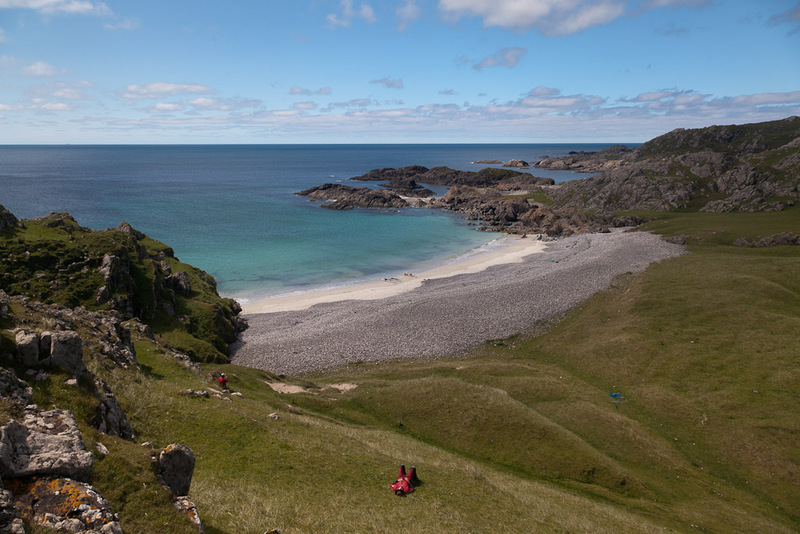 After lunch, David and Phil snoozed on the hill above the remote beach on the SW coast of Tiree. There is nothing over the horizon until you encounter the fair shores of Newfoundland. 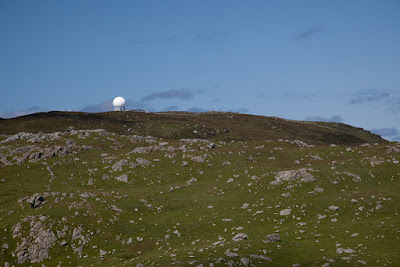 The dome on Ben Hynish houses one of the main air traffic control radars for trans Atlantic flights to and from Europe. 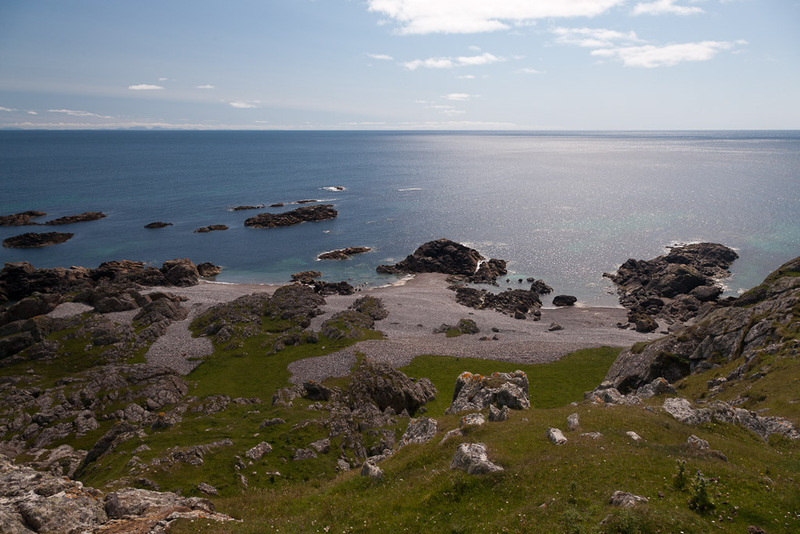 The summit of the hill behind the beach was an Iron Age hill fort. 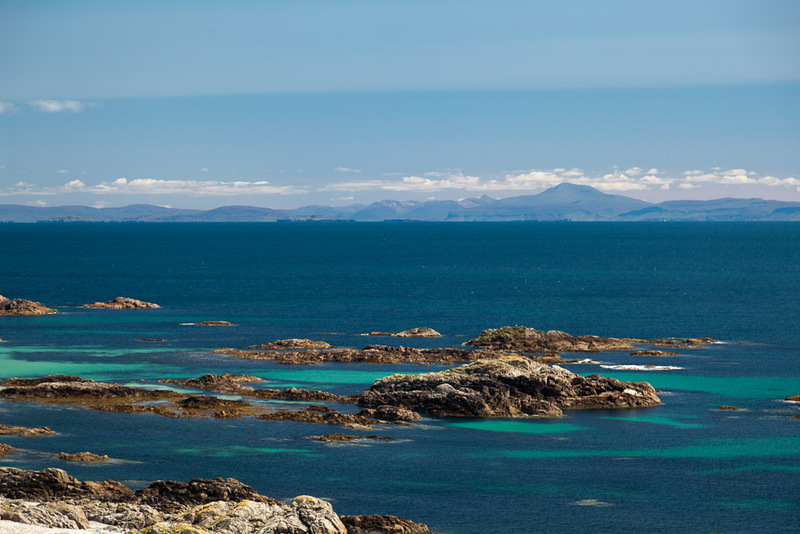 It also commanded views away to the east to the Treshnish Isles and Mull from where any invaders would come, looking to plunder the fertile lands of Tiree. About two thousand years ago, it would have been our ancestors galleys that would have been drawn up on this beach of dazzling white shell sand. 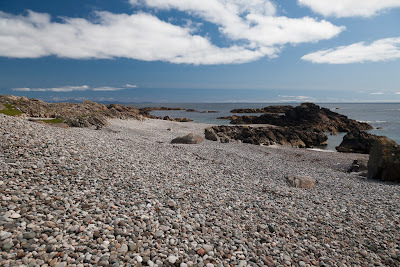 The beach to the SE of the hill fort was composed of cobbles and rose continuously up the hillside to a level that the tides would last have reached about 10,000 years ago. 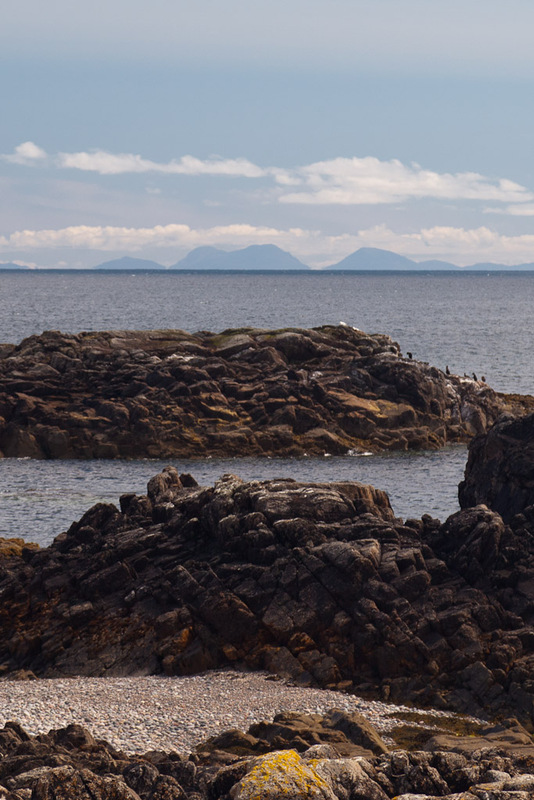 ...of the isle of Jura. The tops of the Paps of Jura could be seen rising above the horizon 80km away to the SE. 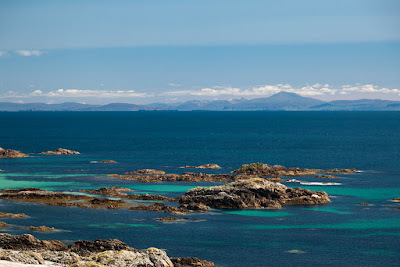 There was no sign of the coastline of Jura, or indeed the intervening isle of Colonsay, which were both below the horizon.